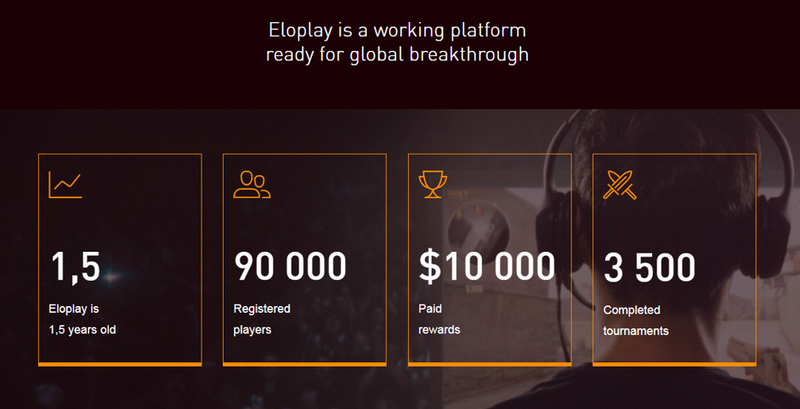 Eloplay allows players and teams to challenge each other for decentralized prize pools. There is a growing demand for reliable gambling on eSports. Smart contracts would make this industry more efficent. The team appears to have the required expertise to integrate smart contracts into their current eSports product. Eloplay is ahead of the game by already having a functional product. Mass appeal is their greatest challenge and will be supported by the large distribution of funds towards marketing. 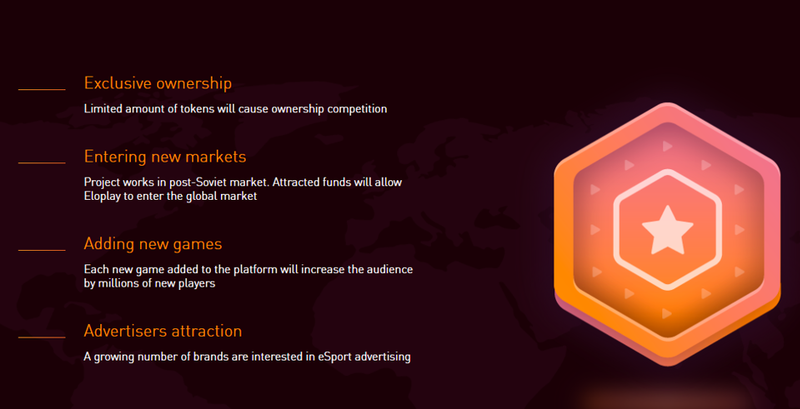 Esports platform Eloplay.com allows players to organize and participate in tournaments with decentralized prize pools. Current implementation of Eloplay uses their in house Elocoin reward that has no blockchain affilition or third party support, it was implemented as method of work with fiat money. Eloplay Tokens will replace the Elocoin to provide a token that can be traded and used elsewhere. No significant flags have been identified. 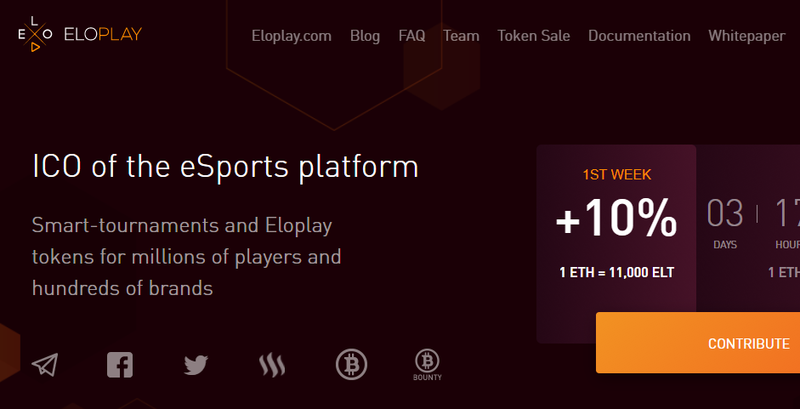 Eloplay will attempt to gain market share of the eSports betting industry by replacing their private and centralized reward with a blockchain fueled token. This is not the first ICO to trudge through this territory, several other companies such as Gimli and Unikoin Gold seek similar integration so it would appear that Eloplay is late to the party. 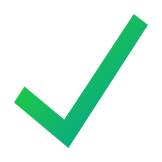 Though Eloplay remains advantageous by already having a proven model that has attracted a small community of gamers. By integrating smart contracts, users will be able to create their own amateur tournaments that could create the potential for attractive prize pools. It is no doubt that Eloplay will struggle to find the mass appeal they are looking for, the competition in the eSports betting space is being tackled by many more reputable names. With 40% of the ICO funding going towards marketing, it is safe to say they know the rocky road ahead to incentivise new users to the platform. The moderate to low amount of bonus is attractive as it should stabilize the price of the token instead of having it crash after hitting the exchanges. Investing in this ICO is moderately risky as it would require long term support in order to see profit and fill the proper demand. Participate with the above points kept in mind and don't hesitate to take profit quickly if you do choose to contribute to this project.